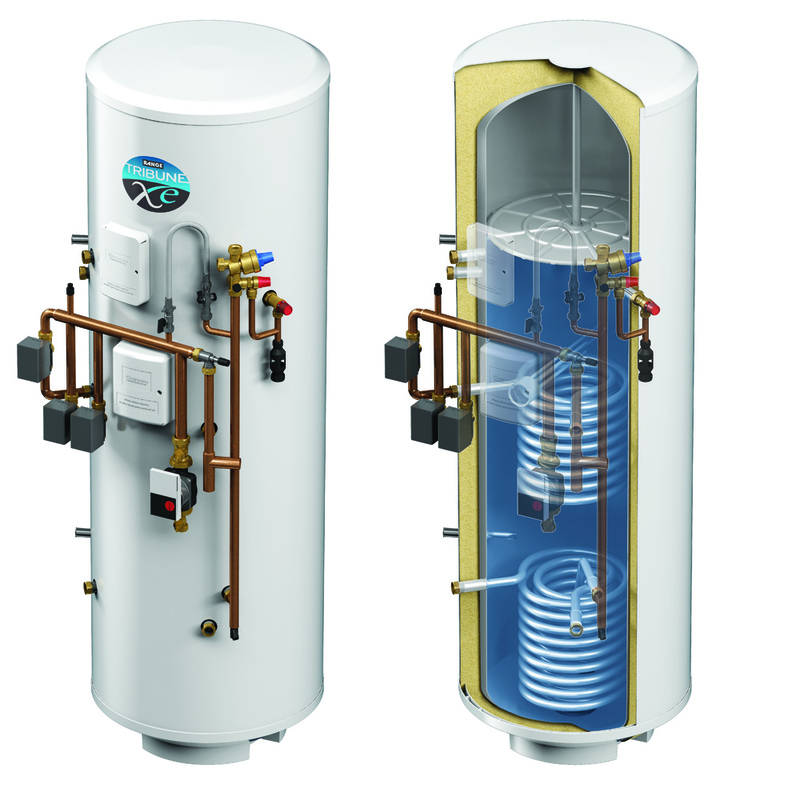 WE WERE IN AT THE VERY BEGINNING WITH KINGSPAN ENVIRONMENTAL’S NEXT GENERATION HOT WATER CYLINDER. BUT AFTER NAMING AND BRANDING THE NEW ‘XE’ TRIBUNE, WE TURNED TO 3D ILLUSTRATION TO SHOW EXACTLY WHAT LAY BENEATH THE SURFACE TO MAKE IT ONE OF THE MOST ENERGY EFFICIENT IN ITS CLASS. Choosing the name ‘Xe’ didn’t just mean we were following previous naming conventions. It also allowed us to create a clever logo built around the lambda symbol, denoting the miserly heat loss that was the result of a whole range of technical improvements. 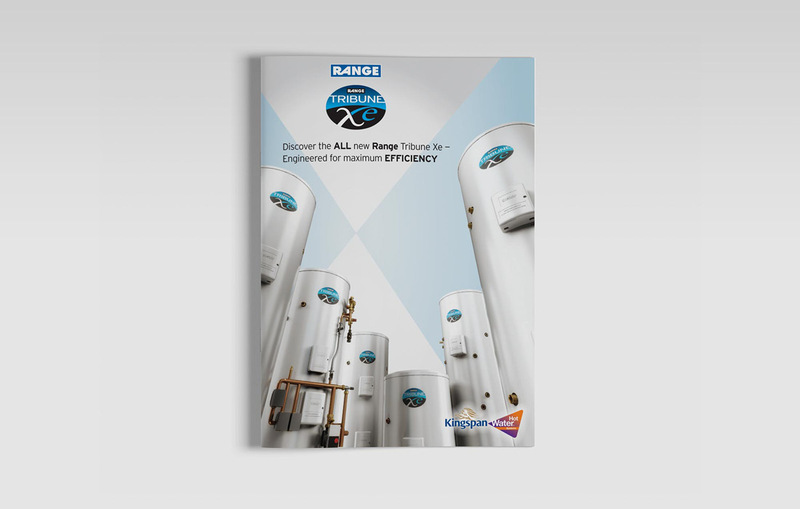 Next, we designed a launch brochure for Kingspan’s Sales Teams to use when they approached the key audience of housebuilders and independent plumbing contractors. 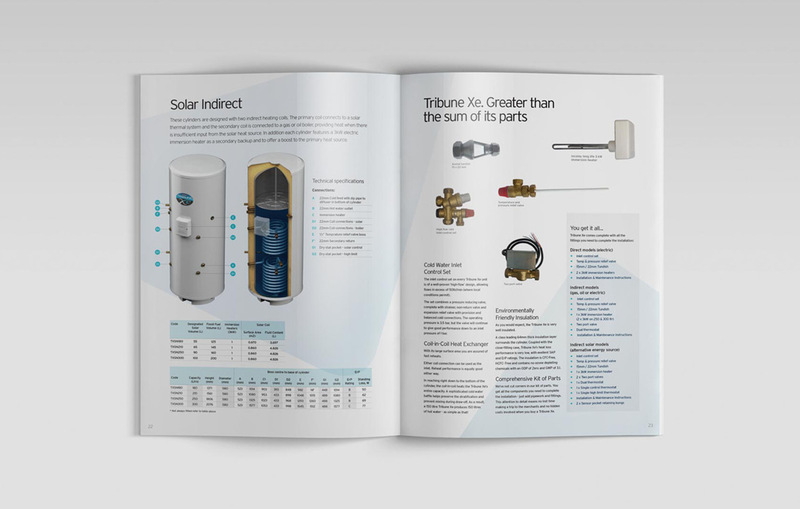 With so many innovations to be shown and explained, we opted to use 3D cutaway imagery throughout. 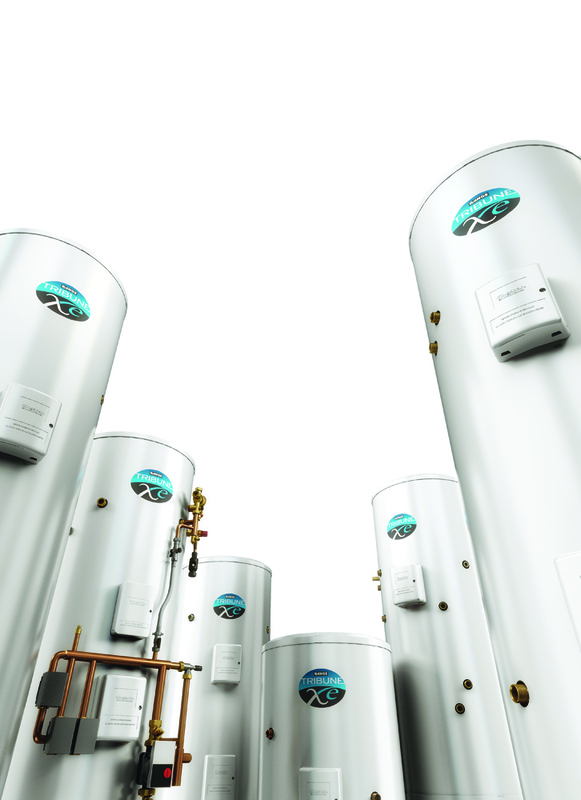 Working closely with technical design teams and using their CAD files, we created high resolution 3D renders from scratch, applying all textures and tones. The final images were used in print, advertising and even at exhibitions and conferences on large scale banners and backdrops. 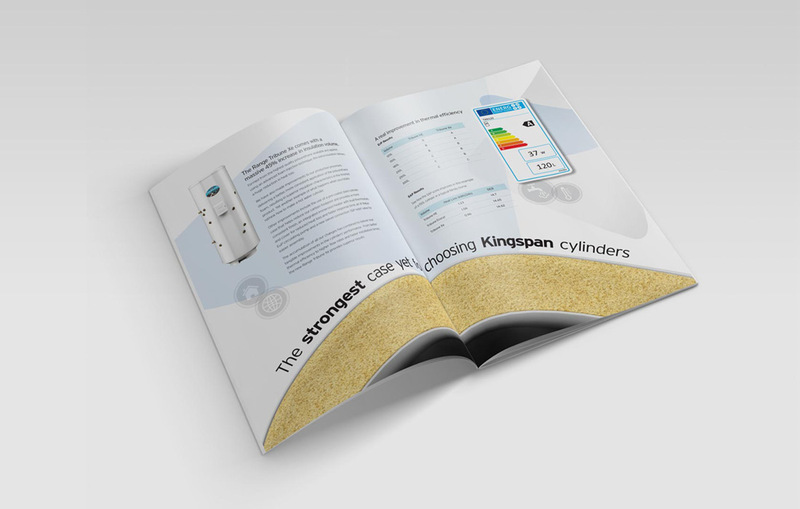 A hi-tech approach to hi-tech product that drew plaudits from customers and the Kingspan sales team alike.